At One most kids are really enjoying interactive play and practising their speech all of which can be encompassed within a bedtime story. 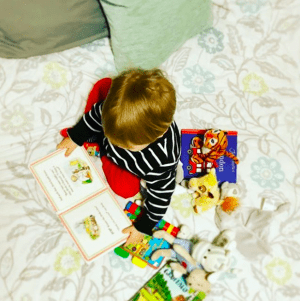 Early this year we published a list of best bedtime reads for under ones. My personal top three best-loved book retailers are: Amazon, Waterstones and Daunts. Although all three have a well stocked and fully functioning online presence if you can it is well worth popping into either Waterstones or Daunts, both stores offer a full literary experience and staff are always more than happy to help you find one off titles or suggests the latest reads and authors. 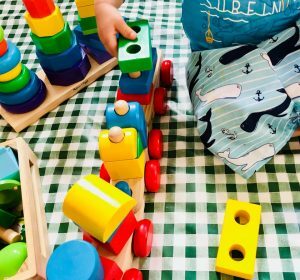 Parents and kids a like love a good educational toy, for one they hugely enhance a child’s development, but most importantly they tend to be better made and of more use/function than your ‘of the moment’ fad offerings. An all time fave in our house is anything by Melissa and Doug. As well as being comforting soft toys also play a huge role in helping a child learn about their environment, through play. Which in turn can help to develop their ability to interact with others. Theons most favourite cuddlies (both of which he got for his 1st) include his Greek Fisherprice bear and Elmo (of course)! 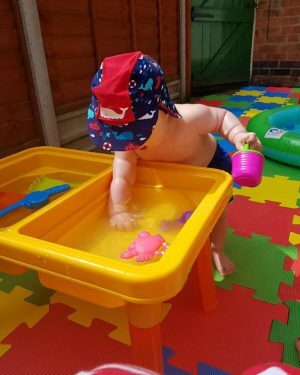 At just £3 from George at Asda this is Theons all time hot day play go to, great for cooling down and splashing about. 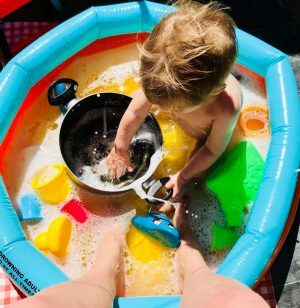 This paddling pool is such a bargain you’ll have pennies left over to maybe through in some bubbles and a water gun! My nephew Phoenix got this set as an early first birthday gift. It was an absolute steal at £14.99 from Smyths Toy Store, especially since it also came with all the accessories you see in the photo! 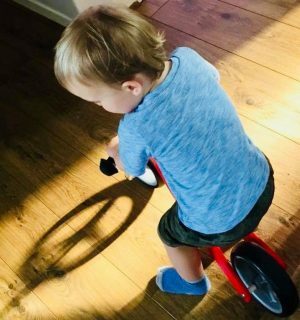 It’s a Nicko Mini Wooden Toddler Balance Bike/Trike, £39.99 from Amazon for my nephew Huxley, who absolutely adores his first birthday balance bike, which my brother fully recommends not only because it changes to grow with your child, but being a two in one it also saves on storage space and upgrade purchase costs. Online stores such as Studio are fantastic for picking up reasonably priced, personalised kids bedroom furniture. Great shouts to impress the ‘rentals are toy boxes (any help with hiding away the sea of kid crap a one year old manages to accumulate) and mini seating. By now baby should have their own passport and all the paper work needed to set up their own bank account, which is a quick and easy way for friends and family to gift them during birthdays and holidays and means that parents can manage the money in order to acquire the bits kiddo needs; much easier than receiving duplicate gifts or the wrong sized clothing which will have to be taken back and exchanged for vouchers any way! At one they’ve almost reached the toddler club (some may already be in) and so are really starting to actively explore and take in new surroundings, why not purchase a day out at the zoo or a sensory play day at the local play centre or soft play/ball-pit park. You can often find great deals for the entire family on Groupon or Wowcher. But, whatever you gift them just know (and don’t be disappointed), nothings going to impress them more than the box their present came in! 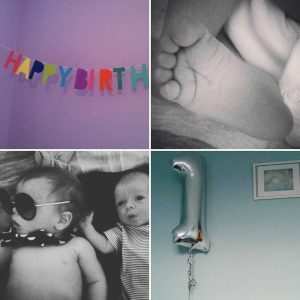 This a super cute post and only goes towards making me feel even more broody than I already do! Good tips and the last photo is definitely my fav! Very helpful indeed! I struggled with this in April and have another coming up in June so this is just what I needed to get the ideas flowing!